Planning to Learn is split into three parts. The first part guides adults in helping young people to make sense of the world and to develop and practice coping strategies for any given situation. The authors also explain how simple visual and verbal cues can help people to cope successfully in stressful situations. 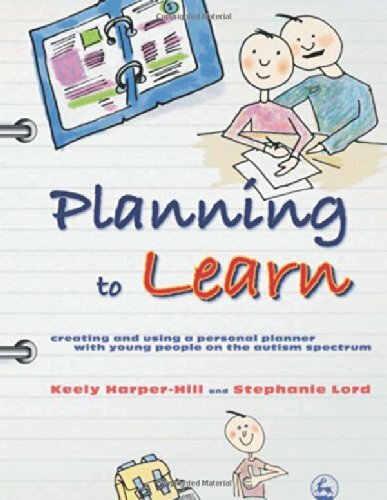 The second part provides worksheets for the young person to complete to learn how to use plans in different situations, for example staying calm when waiting for a doctor, or coping with a change in the school timetable. Each individual makes a unique planner with procedures to refer to, such as responding to pressure, calming down, being organized, and being around people. The third part includes useful cards, schedules and plans for photocopying and including in the planner. Use these valuable informal assessments to help determine your students’ and clients’ preferences for postsecondary training, the fit with particular types of institutions, and the need for accommodations and modifications.